Supplied with a 1oz Bottle of Endorsing ink available in Black, Red, Blue, or Green. Select your colour and Clan name from the drop down list above. 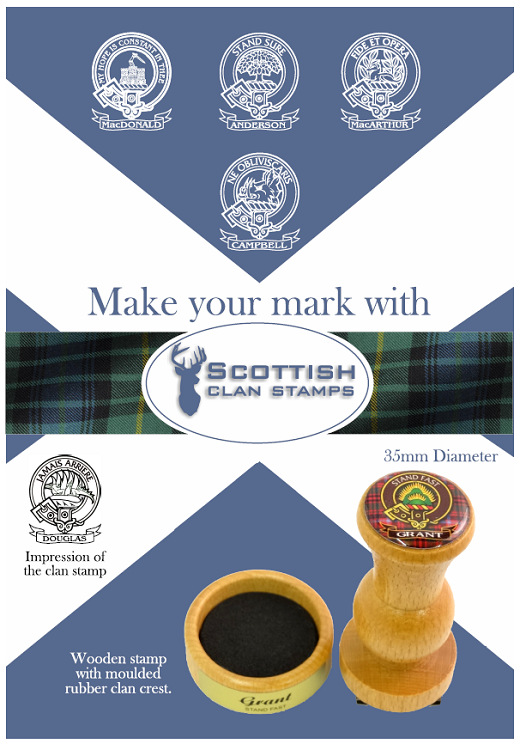 Our unique thistle shaped Scottish Clan Stamp is a must for any person with Scottish Heritage. Makes a great gift and is Ideal for customising your letter heads, envelopes and invitations.